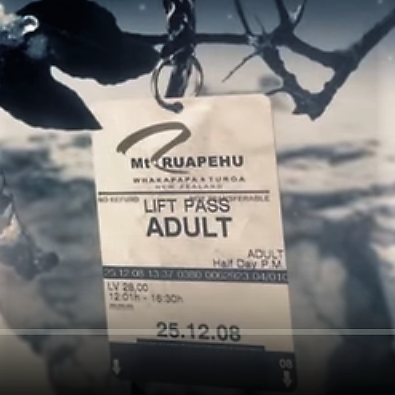 Saito are very proud to have one of our tags clearly showing in Shapeshifter’s “Twin Galaxies” music video, promoting NZ tourism and Saito’s high-quality print on the world stage. As you can see in the video, Saito Tags can weather even supernatural storms, and 8 years after this video was produced our tough tags and tags for every purpose are still going strong. At Saito we can string and supply tags with eyelets too if you need the extra strength. Shapeshifter are a live drum and bass act from New Zealand. They are known for their live shows and blend of heavy soul with drum and bass. They have made appearances at Glastonbury, The Big Chill, Big Day Out, Parklife plus sold-out performances across Europe, Australia and New Zealand. Looking for a Saito Solution? Saito started out in our founding directors’ basement in May 1985, and in June 1991 Saito opened its Queensland office. Today Saito remains a private family run business in the second generation of leadership. Saito has an awesome reputation in the marketplace which has been derived from the customer-centric culture instilled by our founding director and delivered by all team members, even via our casual staff. Everything we do is aimed at exceeding our customers’ expectations. Award-winning customer service is one attribute but Saito are continually innovating to find ways to deliver products more competitively and take operational expenses out of our customers’ business. We ourselves are manufacturers and understand that price is a key factor in any trading relationship along with confidence in quality and dependency on deliverables. Saito continue to grow and we are immensely proud that a great majority of both our customers and staff have been with us for over twenty years and remain very loyal. As we do to them!